It wasn’t technically a heart attack, though she called it that. It was a crisis in her long battle with congestive heart failure and chronic pulmonary disease that hit her like a sledgehammer one day in June 2016. …The tumultuous presidential campaign in general and Trump’s ridicule of son Jeb Bush in particular had riled her. “Angst,” she told me. “I’m trying not to think about it,” she said in an interview as the first anniversary of Trump’s election approached. “We’re a strong country, and I think it will all work out.” Even so, she was dismayed by the nation’s divisions and by the direction of the party she had worked for, and for so long. …Barbara Bush couldn’t quite imagine that Trump was going to win the White House on his own. 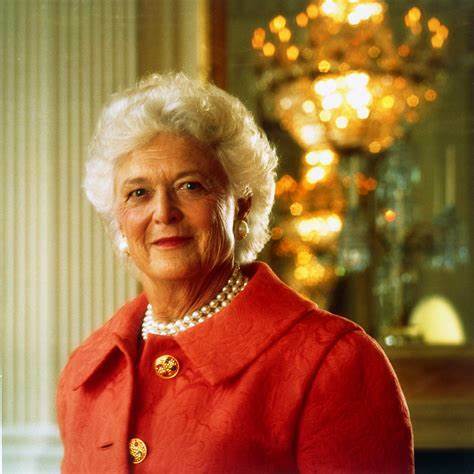 Barbara Bush and her clan never could understand or relate to Conservatives. They were always part of the Country Club Republicans in the good ole boy network. 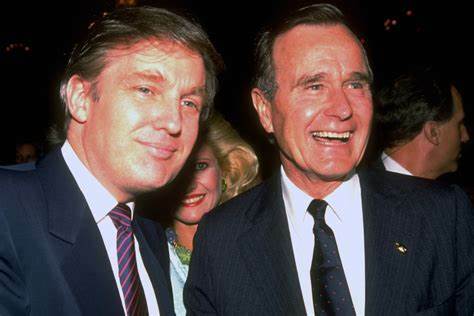 If you look at what both Presidents Bush did, they were liberals in their policies regardless of what we called them. 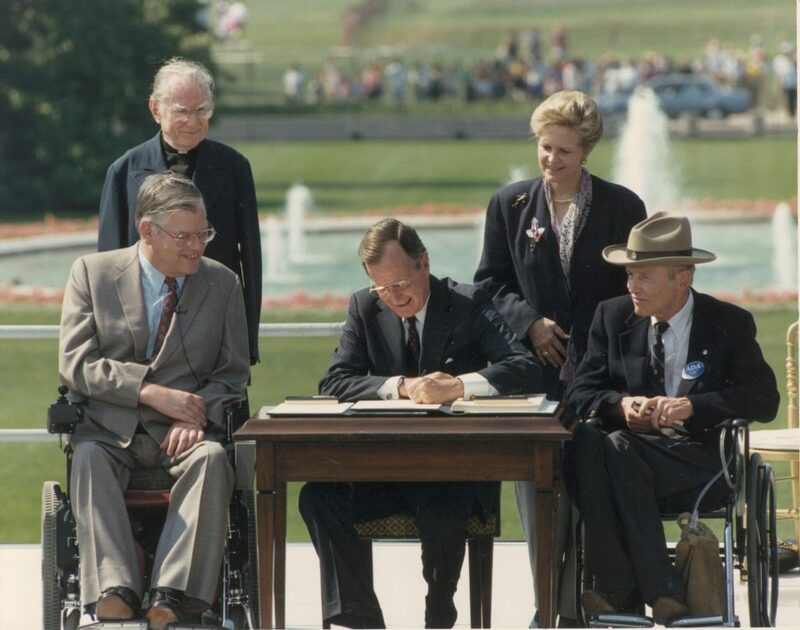 The first Bush gave us the largest unfunded mandate ever passed into law in the history of the world, the Americans with Disabilities Act. This poorly written and worse implemented law has cost billions in unnecessary expenses. But the Bush clan also gave us the Savings and Loan bailout, Medicare Part D, The “too big to fail” bailouts, two incomplete wars in Iraq, and many weak-kneed Supreme Court appointments. Mrs. Bush seems to have soured on the Republican brand by the end of her days. Politics has been a full contact sport for a long time. Have you seen what it was like when Lincoln was President? Marquess of Queensberry Rules only work when both sides agree to them. Both her husband and sons tried to follow them unilaterally against a Party bent on the total destruction of American values and institutions. They came out on the short end. Apparently the last straw for Mrs. Bush was the fact that Jeb crashed and burned in New Hampshire. She went to her grave blaming Trump that America was Bushed-out and wanted a new face in the White House not named Bush or Clinton. In 2016, America wanted a warrior not a whim so they voted for Donald Trump. But this interview doesn’t surprise me. 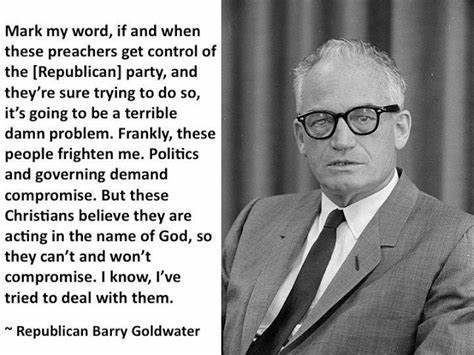 I remember back to an interview that I saw many years ago with Barry Goldwater. Barry was angry at Conservatives. Yes, the guy that was the supposedly “The Conservative” in 1964, had no use for Conservatives in the 1990’s. He hated Christians being involved in the political process and finding a home in the Republican Party; especially, the Pro-Life ones. Goldwater had absolutely nothing good to say about them. Goldwater was angry and bitter at the end of his life. He repudiated what the Republican Party had become. It’s really kind of pathetic that the only Republican that is challenging Trump to his face has been dead for two years. All the rest prefer to stab him in the back when they think no one is watching.